Exciting news for Kelly Clarkson and Brandon Blackstock! The two, who share a 1-year-old daughter, River Rose Blackstock, are expecting a baby boy! The 33-year-old pop star, who had announced her pregnancy in August at one of her concerts, revealed on Friday she and her husband are expecting a son. Clarkson wrote on Instagram, "In other news, River's gonna have a little baby brother :) #itsaboy We're so excited!" She posted a cute photo of their daughter sitting on top of a plastic slide. Kelly Clarkson's four-year-old daughter offered a brutal critique of her famous mum's singing when she said she was "really bored" after a recent rehearsal. According to Business Insider, "Kelly Clarkson covered Lady Gaga and Bradley Cooper's song "Shallow" during a tour stop in Wisconsin on Friday night. People are loving Clarkson's take on the song from 'A Star is Born.'" Clarkson commented to the crowd about taking on the song, "I know there's a lot of like competition always with artists in the industry, but there's a lot of us that just dig each other and we really get inspired by each other and what they're doing. 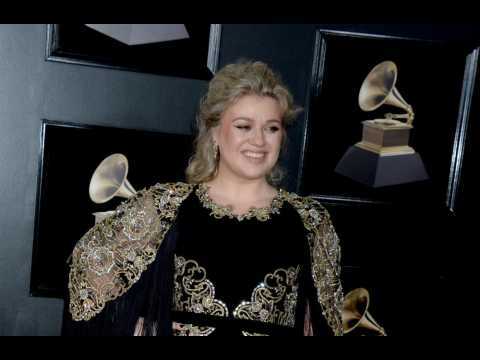 Kelly Clarkson thinks her daughter would be "disappointed" if she met Chris Martin, despite previously claiming the tot has a crush on him.